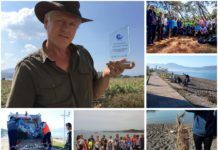 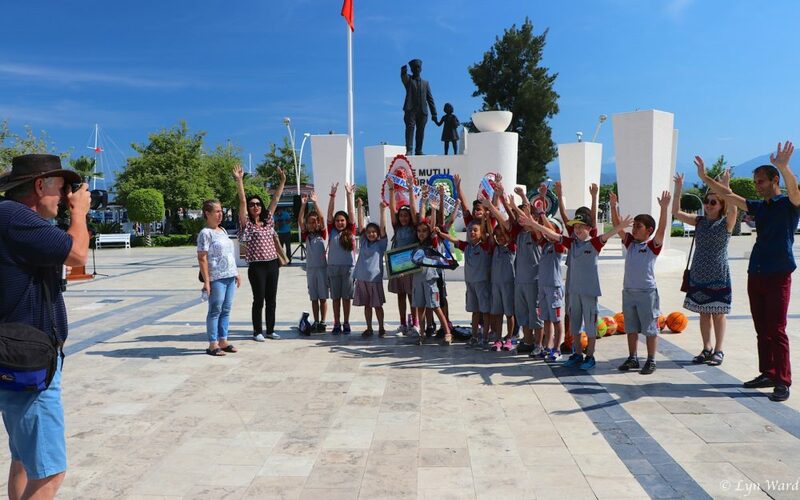 A number of official events have been organised for this week, starting with the opening ceremony and wreath laying at Fethiye Town Square and a presentation to the winners of a competition held in schools where pupils were asked to come up with ideas for ways to hep the environment. 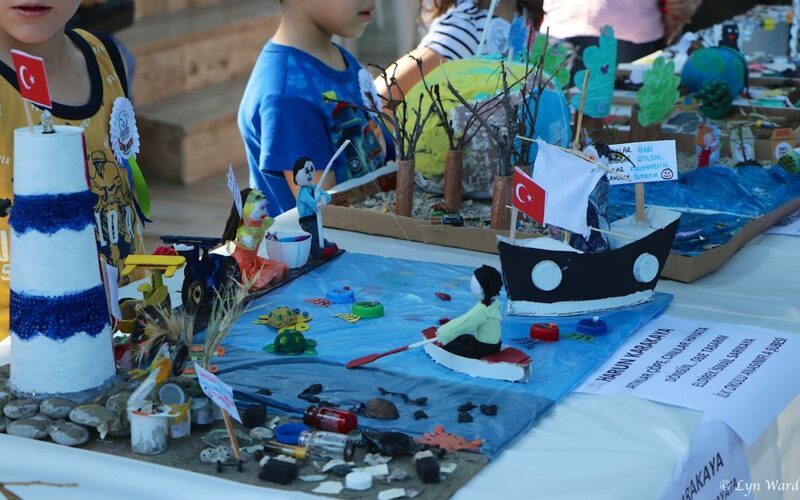 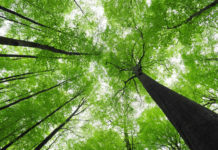 Kate and Şeref Topcu are passionate about protecting the environment and are always looking for ways to highlight and improve environmental issues. 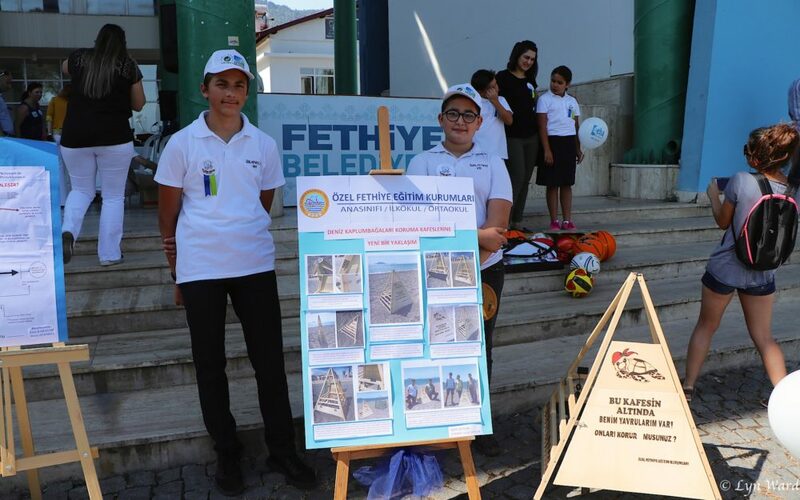 They are both an integral part of the Türkiye’yi Temiz Tut project. 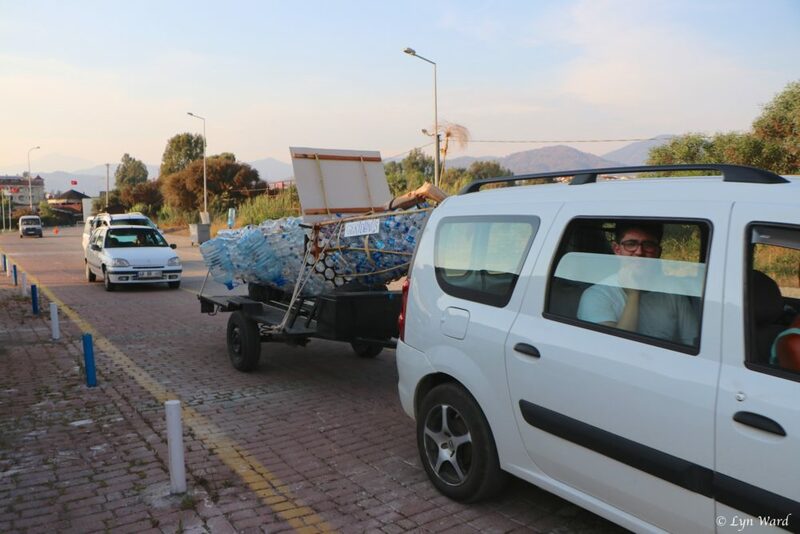 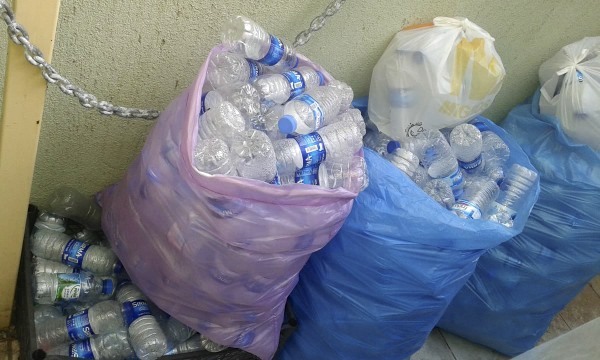 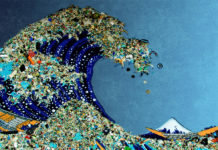 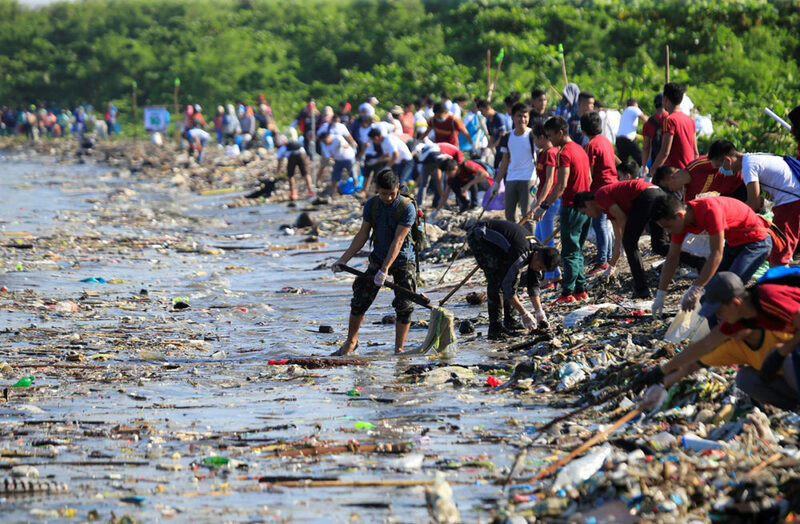 Kate and Şeref are very keen to highlight the overuse of plastics, the pollution it causes and damage to the oceans and the Earth. 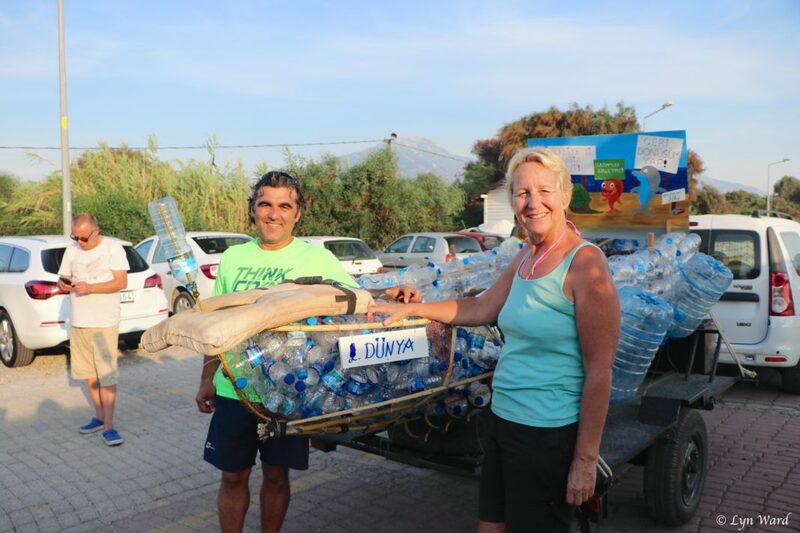 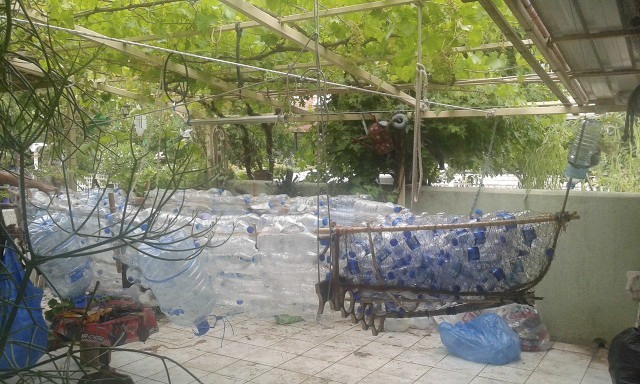 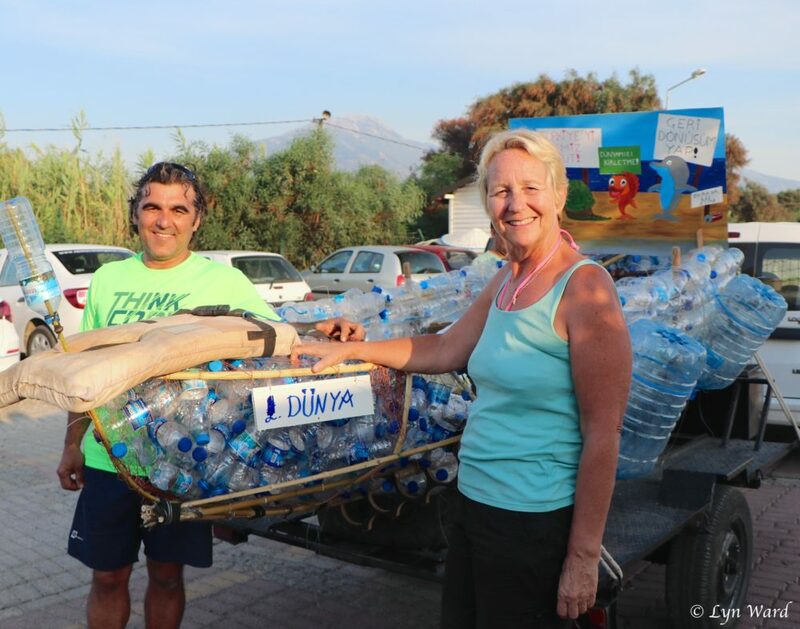 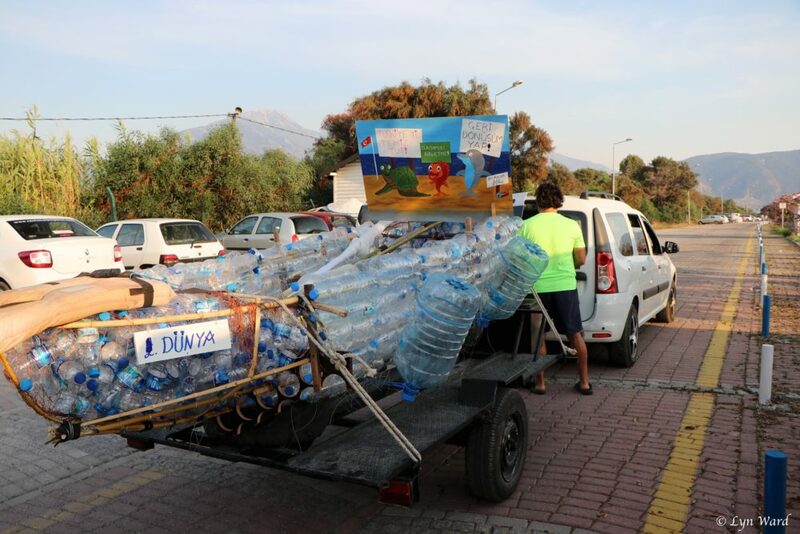 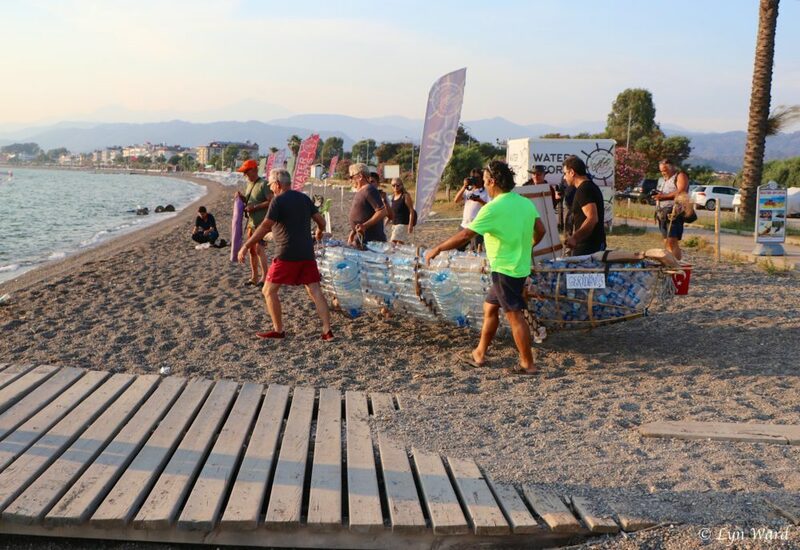 This years Beat Plastic Pollution theme gave them the perfect idea – to build a boat out of used plastic bottles. 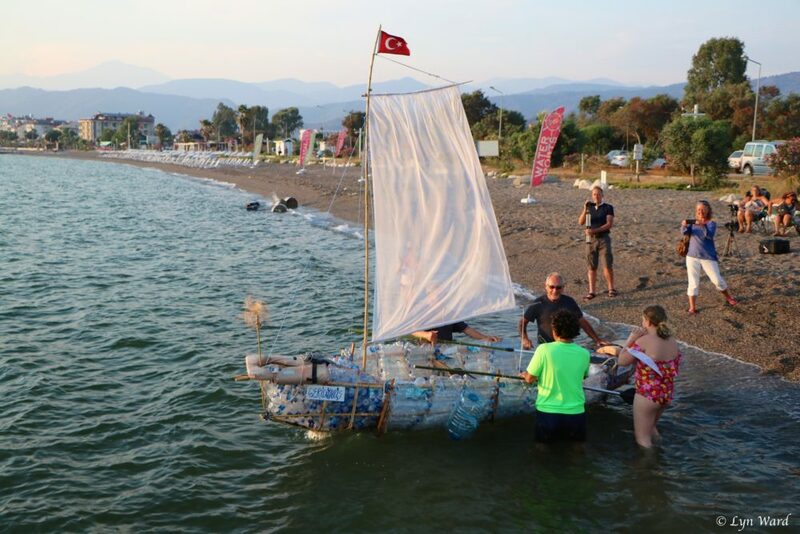 The five metre long boat took two months to build. 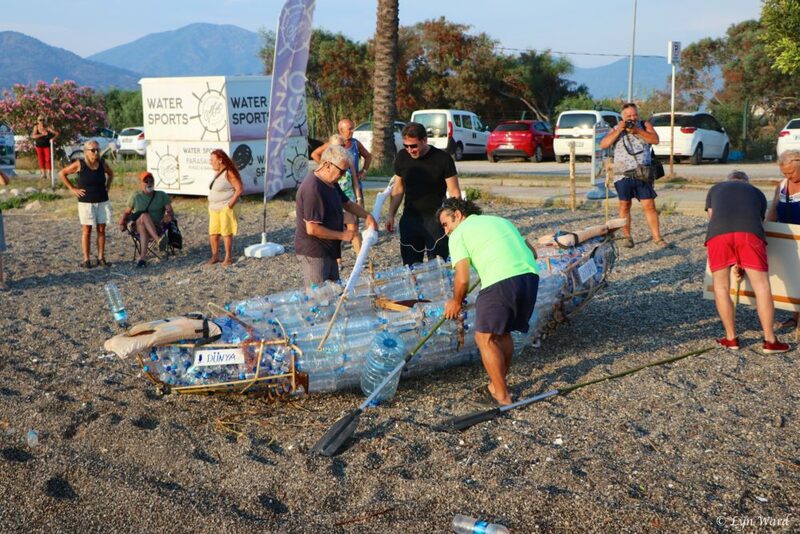 Everything used was either found or recycled, in total 322 1.5 litre bottles, 302 0.5 litre bottles and 330 metres of abandoned fishing wire were collected and used to build the boat. 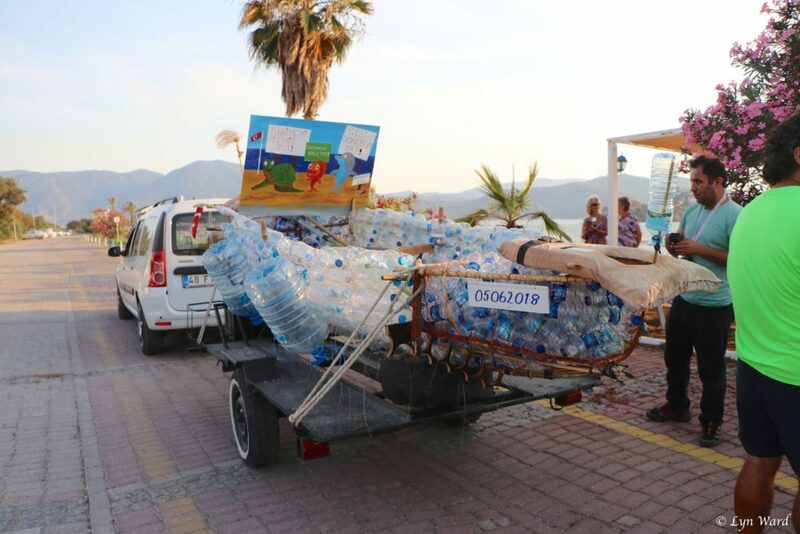 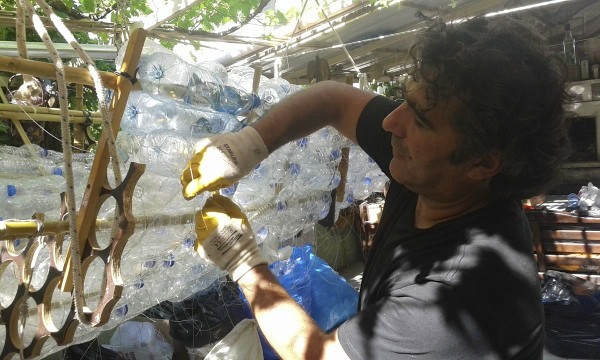 World Environment Day arrived, the boat, Dünya Geridönüş (World Recycling), was ready and the plan was to launch it into the sea at Şat Jetty in Çalış at sunset. 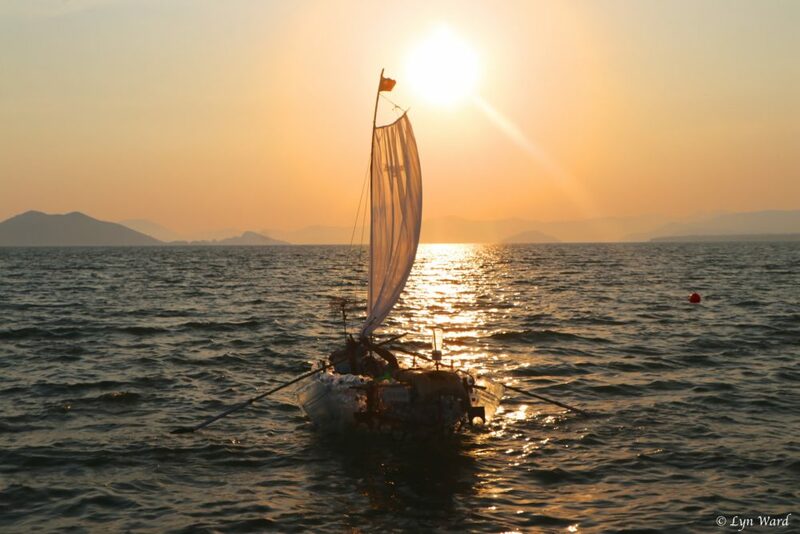 We’re going to let the photographs tell the rest of the story. 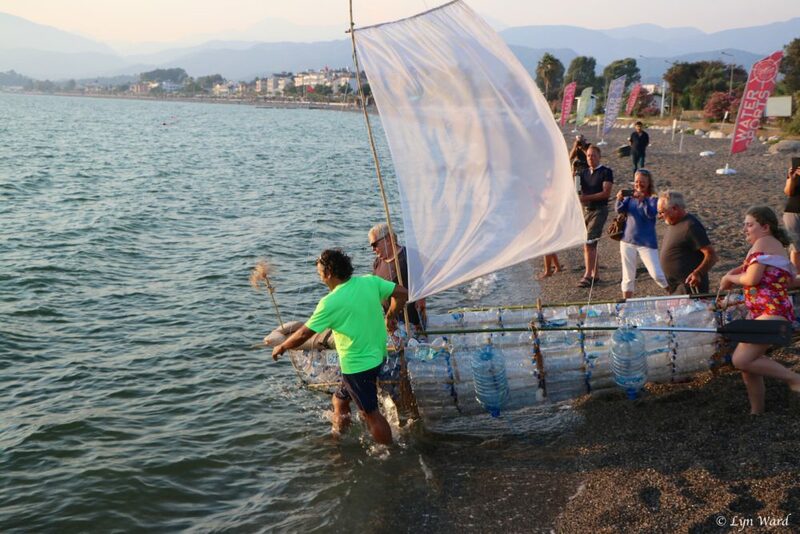 The boat went into the water at 19:30 to rousing cheers from the crowd who came along to watch and support. 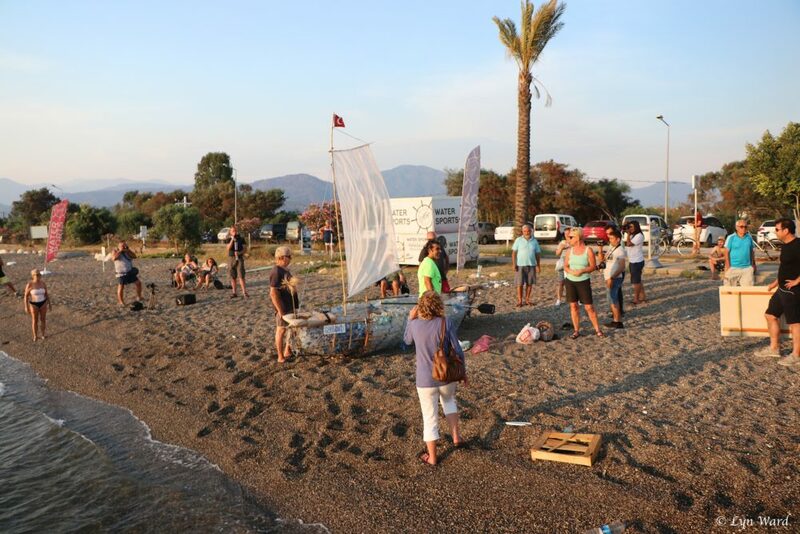 Kaptan Yasemin was invited to be the first to take the boat out. 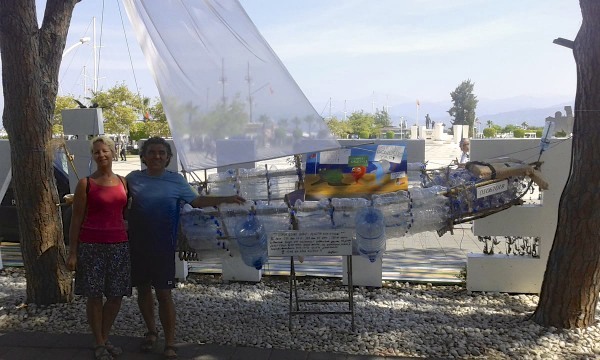 Yasemin and her mum, Desree Sarıoğlu, both helped with the building of the boat. 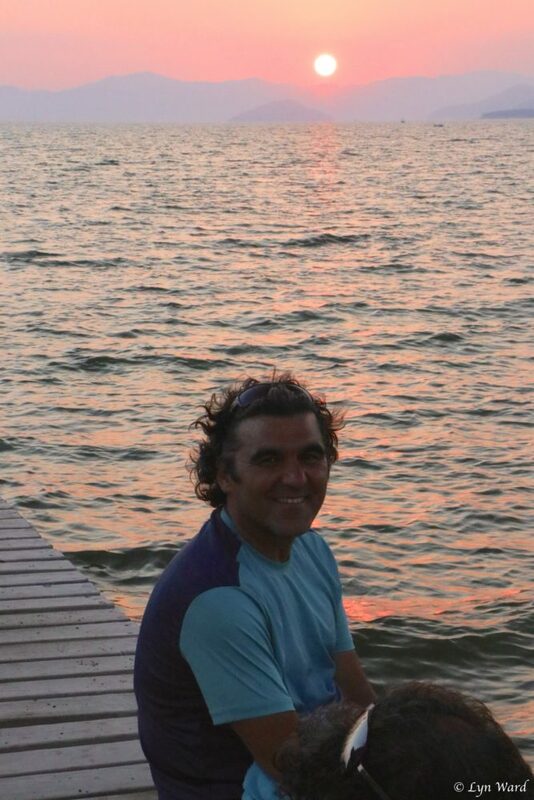 Then it was Şeref’s turn. 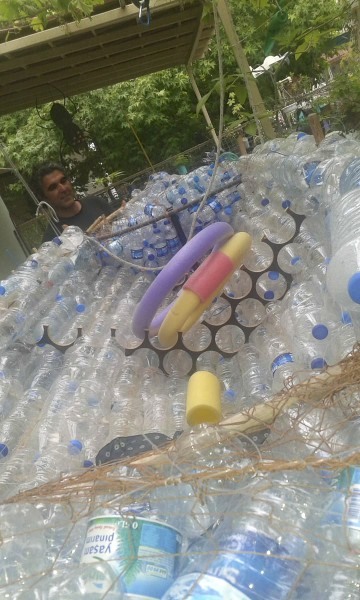 He told us he had always wanted to build a boat and this was a dream come true. 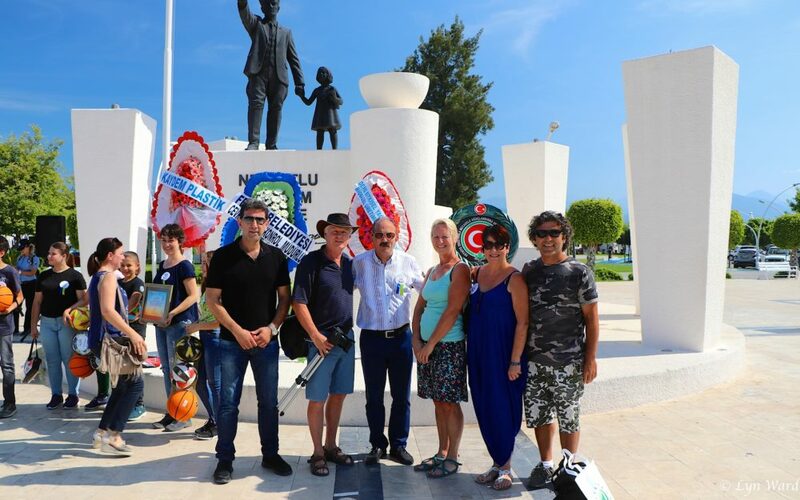 What’s next for Dünya Geridönüş? 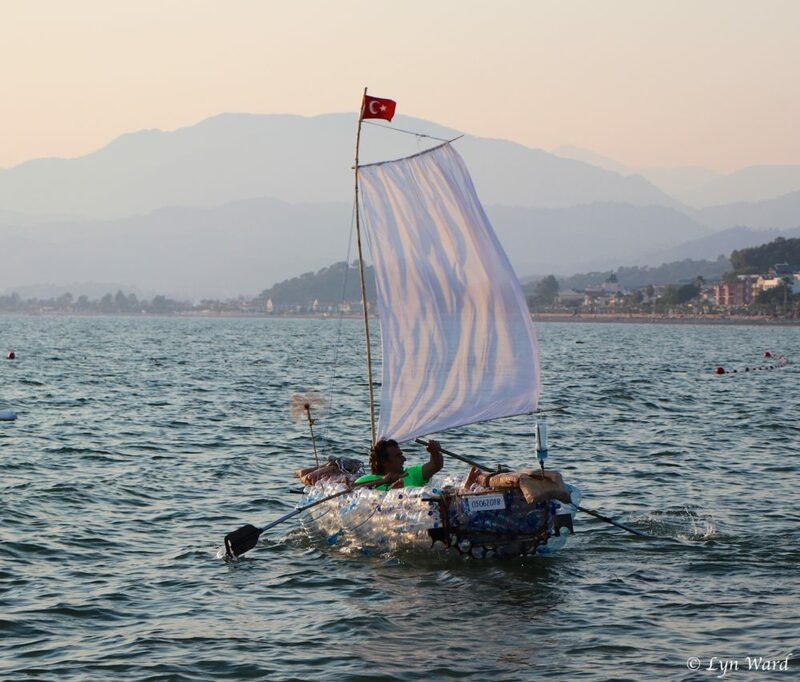 Dünya Geridönüş is now on display in front of the Culture Centre in Fethiye where she will remain until the end of World Environment Week. 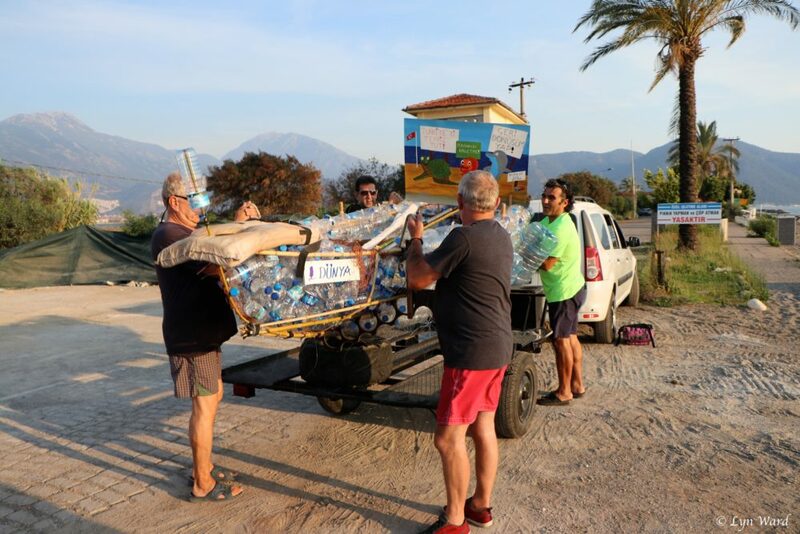 After that she will be displayed in a permanent place – we’ll let you know where that will be. 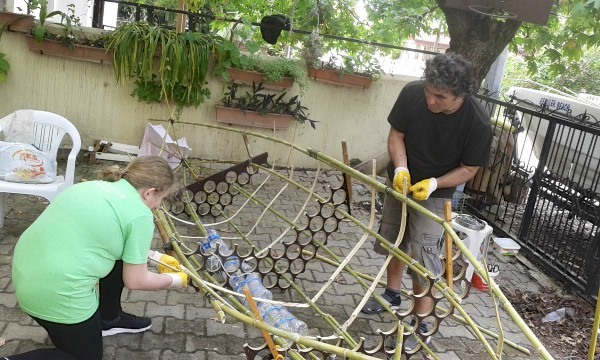 Boat building helpers, Lee Leverinton, Desree Sarioğlu and her daughter Yasemin. 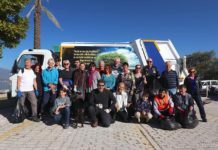 Advice and support Richard Oldham. Plus lots of support from Kate and Şeref’s lovely friends. 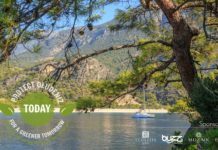 The team were out and about on World Environment Day taking part in the events and Mick was out filming so watch out for lots more to come. 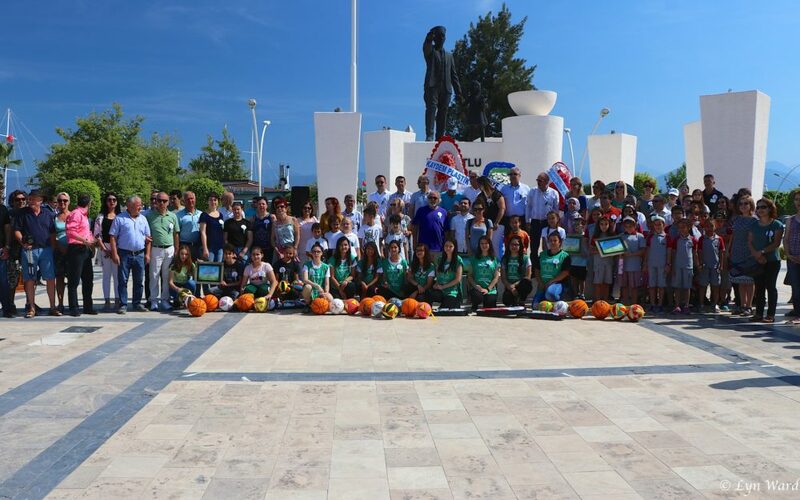 The Türkiye’yi Temiz Tut team with Fethiye Mayor, Behçet Saatcı.